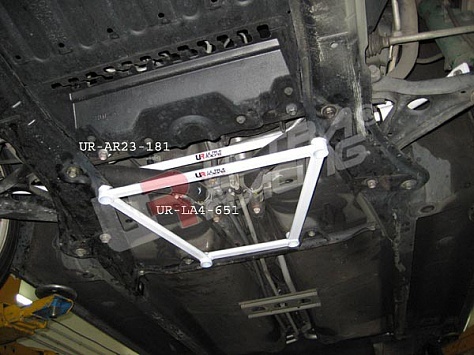 The Ultra Racing Anti Roll Bars (Sway Bars as they are also known) are thicker than the standard OE Anti Roll Bars and are manufactured in steel. This stiffens the lower suspension components which helps to eliminate excess oversteer and understeer. The body roll of the car will also descrease because the thicker Ultra Racing Anti Roll Bars help keep the car flat when cornering which provides better cornering especially at high speeds.